Interested in sharing your research with the public? Do you typically attend the Corvallis Farmer‘s Market anyways? Need more outreach experience and/or Broader Impacts? 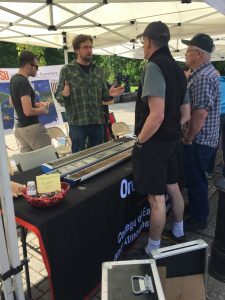 GSC annually organizes the CEOAS Farmer‘s Market booth and we’re looking for volunteers to run the booth and chat about their awesome research with the Corvallis community! Currently, we’re seeking four different people/lab groups to run the booth on one of the following Saturdays: April 14, April 28, May 12, and May 26. If you’re at all interested, please let me know and we can discuss what’s involved. 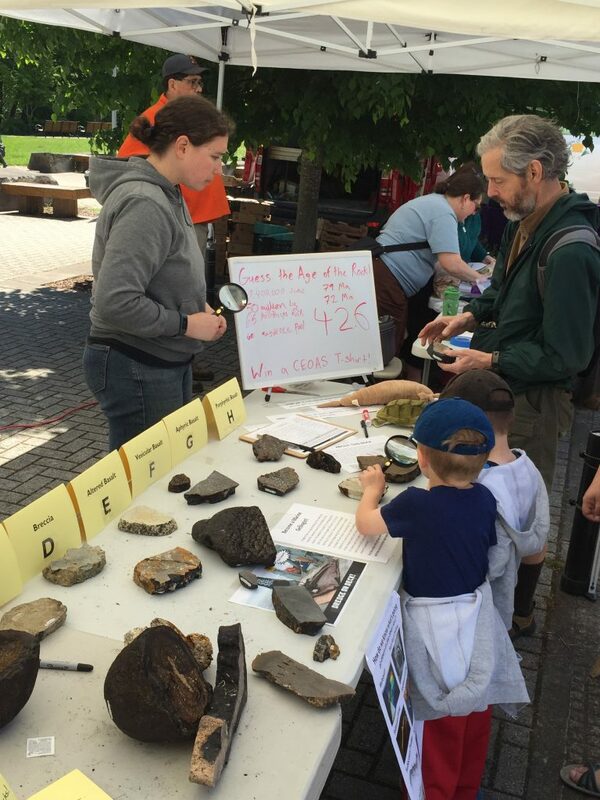 You do not need to have prepared outreach activities to have a successful booth! Cider and Donuts Oct 31st! 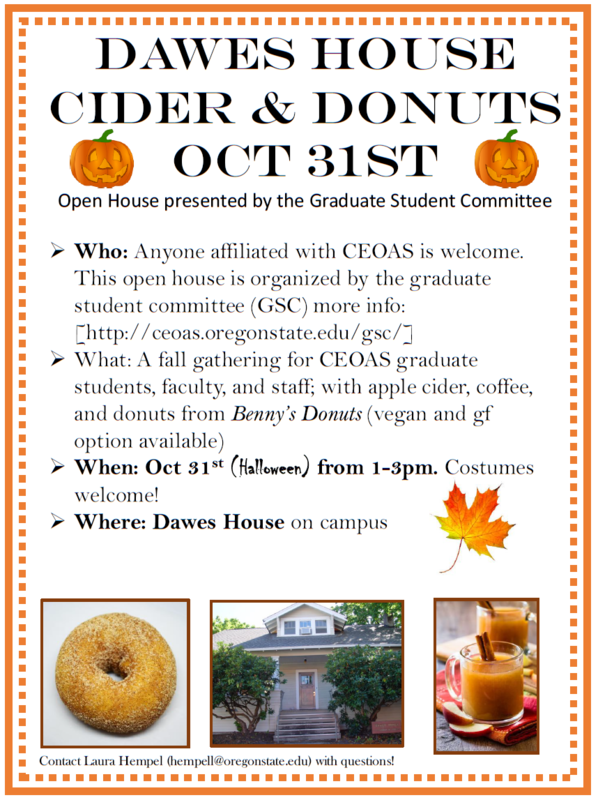 GSC is hosting a fall gathering with Cider and Donuts at Dawes House on October 31st, from 1-3pm, for CEOAS graduate Students, faculty, and staff. We’ll have apple cider, donuts from Benny’s donuts (incl vegan/gf), and coffee. See you there! Contact Laura Hempel (hempell@oregonstate.edu) with questions. 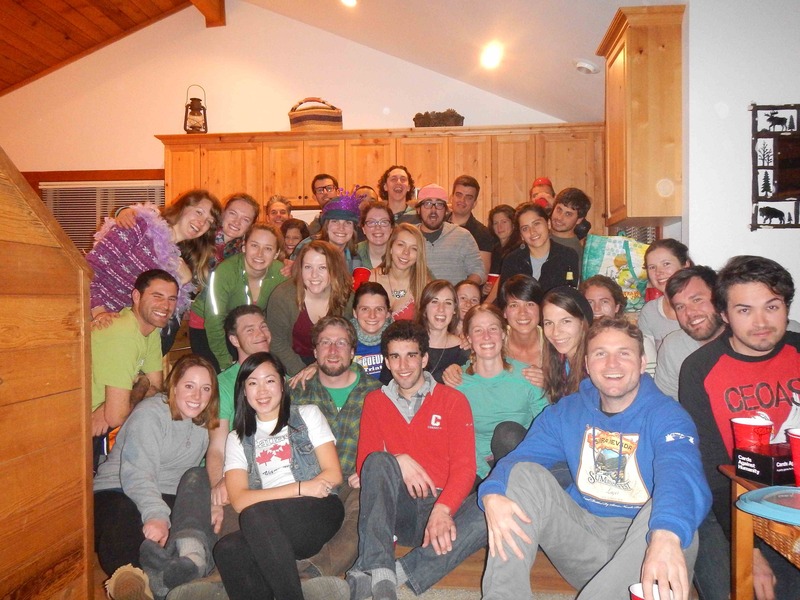 Welcome New CEOAS Grad Students! We are the Graduate Student Committee, our primary function is to serve as a liaison between the faculty/administration and graduate students, but we also do a bunch of other things like fund student travel reimbursements, sell CEOAS merchandise, host social events, and coordinate outreach efforts; all of which you can read more about here on our website! You may want to check out our incoming Student Survival Guide for tips and tricks on grad student life. We always have available spots on the Graduate Student Committee, if you are interested in joining or have questions, contact us at ceoasgsc@lists.oregonstate.edu. 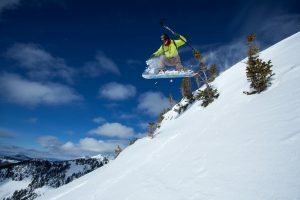 GSConnection Newsletter Winter 2017 is Here! 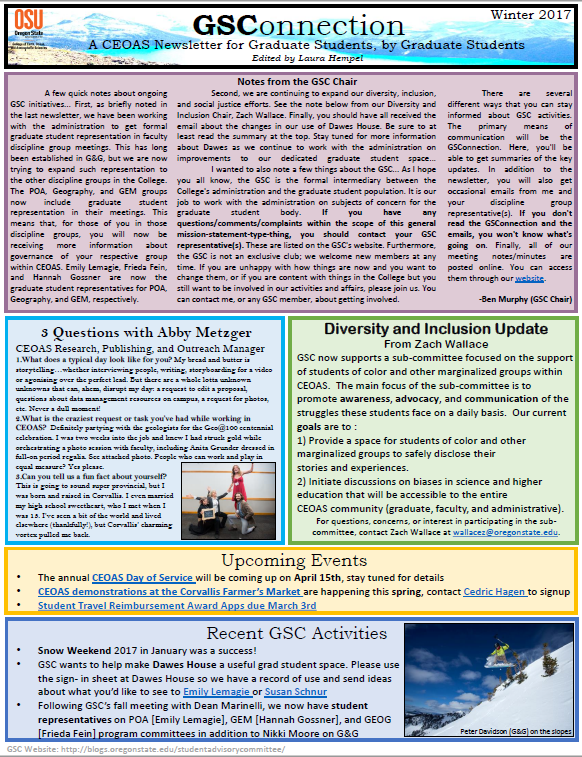 The second edition of GSC’s own newsletter, GSConnection, is hot off the press! The GSConnection is one of the outlets we use to communicate our activities with YOU, so check it out to stay informed on grad student issues and events at the College level. Here’s the**Winter 2017** edition and see the GSConnection webpage for back issues. Upcoming Events, and lastly. . . Custom Gear Sales Due Nov 2nd! GSC is excited to announce the return of our custom merchandise sale! We are offering sweatshirts, shirts, hats, scarves, and blankets, with several style, color, and logo options! Now is your chance to design your own CEOAS apparel! Pick up some gifts for family and friends! See the attached flyer to view all available items, logos, pricing, and details. 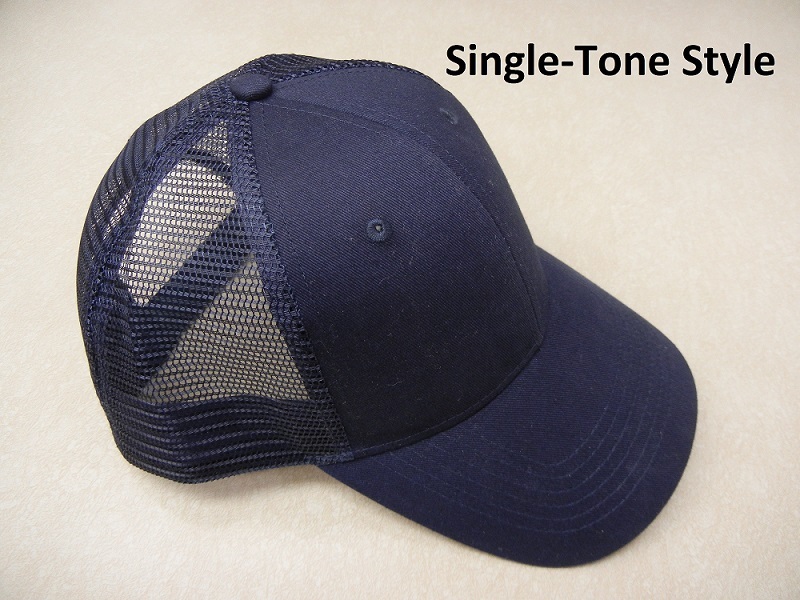 Select an item (shirt, hat, etc. ), choose your color and size, choose a logo (Design? Color? Print or embroidery? ), and you have your own unique CEOAS gear! Please note that the total price will include the base price of the item, the price of logo(s), and the large sizing price, if applicable. Orders are due either as a hard copy to the GSC mailbox in CEOAS Admin or as an email to us (gscmerchandise@gmail.com) by 5 PM ON WEDNESDAY, NOVEMBER 2. A check for the full amount (made out to OSU Foundation) must be included with your order. FOR THIS CUSTOM SALE, WE ARE ONLY ACCEPTING PREORDERS. Late orders will not be accepted. If you are away from campus, please submit your order form by email, and give your check time to reach us before the deadline next week. Please email us (gscmerchandise@gmail.com) with any questions. Remember, the proceeds from this sale support the GSC Student Travel Award fund, which in turn supports students as we share our research at conferences! Please feel free to forward this email to anyone you know who would like to order CEOAS merchandise. CEOAS at the Fall Farmer’s Market! 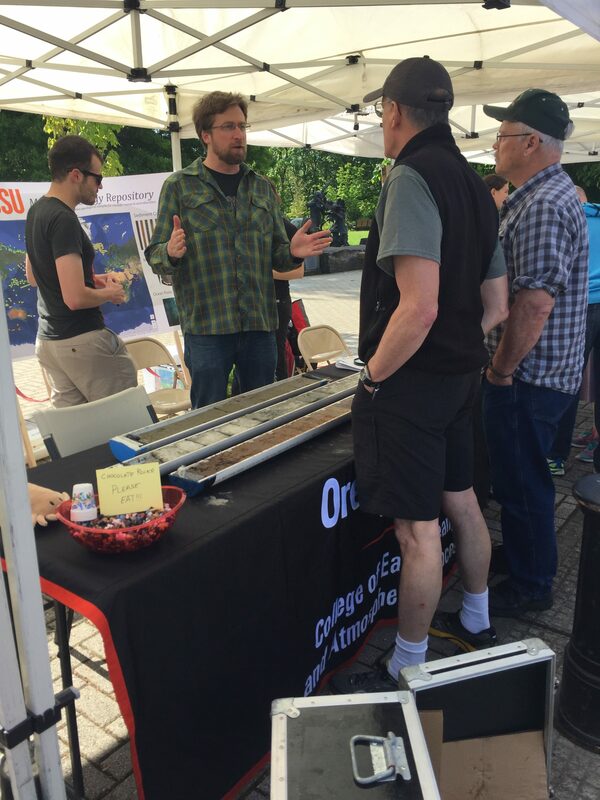 GSC has organized a CEOAS information and demonstration booth at the Saturday Farmer’s Market downtown. 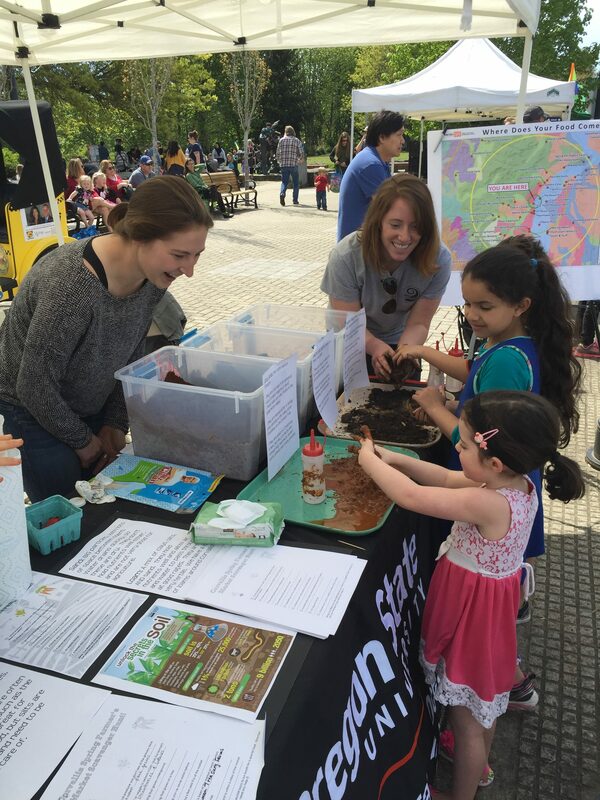 In the spring and fall, students from different discipline groups have set up hands-on demonstrations about soil, rock, water, and more! Besides communicating basic scientific concepts, student at the booth have also answered questions from the community about the College and our research. Go support fellow students at the Farmer’s Market booth this season on October 1st, 22nd, and 29th! Check out some photos of our awesome grad students below! We are looking for a new design to showcase on our CEOAS/GSC merchandise, and we want your help! Send us your sketches by Friday, April 1st. Keep in mind that we will be placing the design on short-sleeve shirts, long-sleeve shirts, and sweatshirts, and give us your ideas on sizing and placement of your proposed design. Feel free to email us with questions and submissions at gscmerchandise@gmail.com. Order Your CEOAS Trucker Hats! 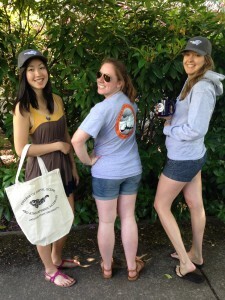 By popular request and in preparation for spring and summer, we will soon be offering CEOAS trucker hats! 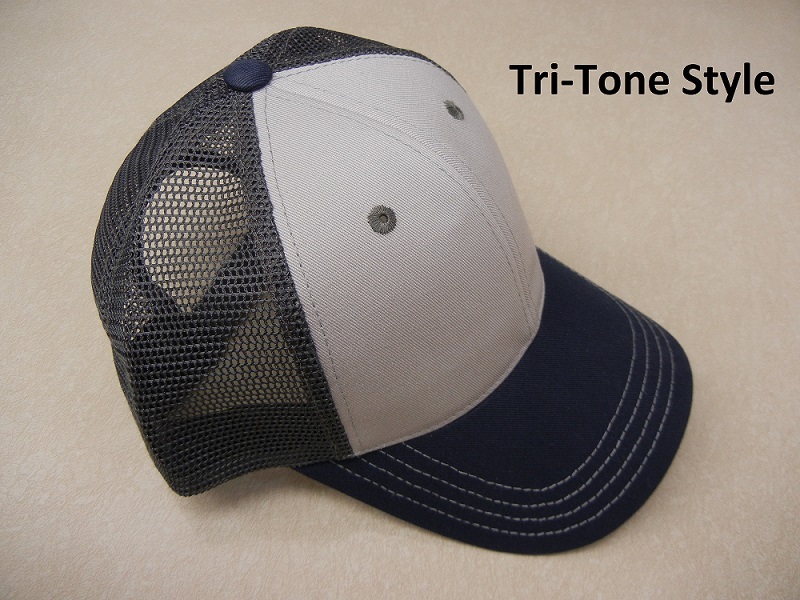 We hope to offer two styles in multiple colors and logos, but first, we need your feedback! Check out the images of the two styles and two logos available (below), and follow the links to view details and images of the other colors. If you would like to view a physical sample of each hat, visit Biana in CEOAS Admin. Please provide your feedback by Friday, March 18 using our survey! 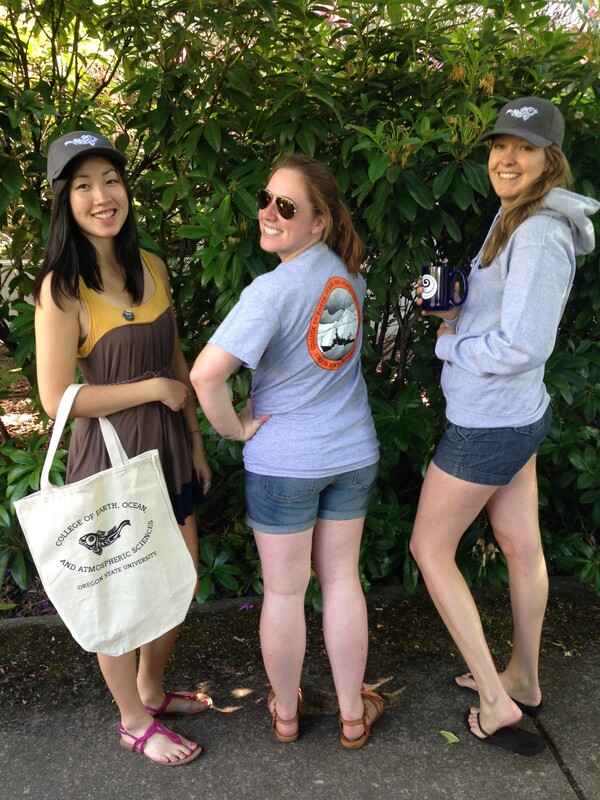 Remember, the proceeds from GSC merchandise sales support the GSC Travel Reimbursement Award Fund, which in turn supports students as we share our research at conferences! NOTE: We can offer both of these logos, but only if there is sufficient interest in each of them. Please join the Graduate Student Committee for our annual Day of Service. 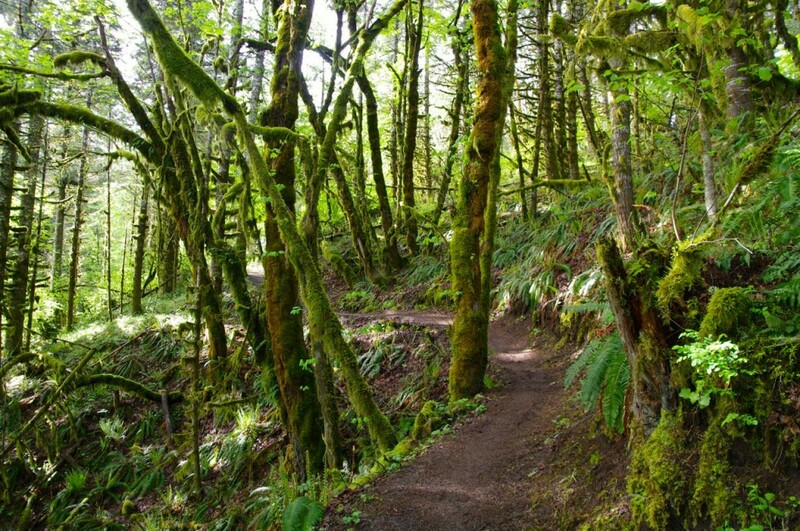 This year we will be volunteering with Corvallis Parks and Res to construct a new trail to the summit of Bald Hill! Join us at 9 in the Reservoir Ave. parking lot for coffee and donuts and a day of volunteering! Children and families are welcome to join! Also note that there is Poison Oak at Bald Hill, although we will take precautions to avoid it, please wear long pants and a long-sleeve shirt to the event! There is a 30 person limit so please sign up via the Doodle Poll below so we have a headcount.